The last several months my confidence has improved tremendously, and with it my riding has steadily progressed as well. Not only have my times on the barrel pattern improved, but I’m riding more aggressively than ever. 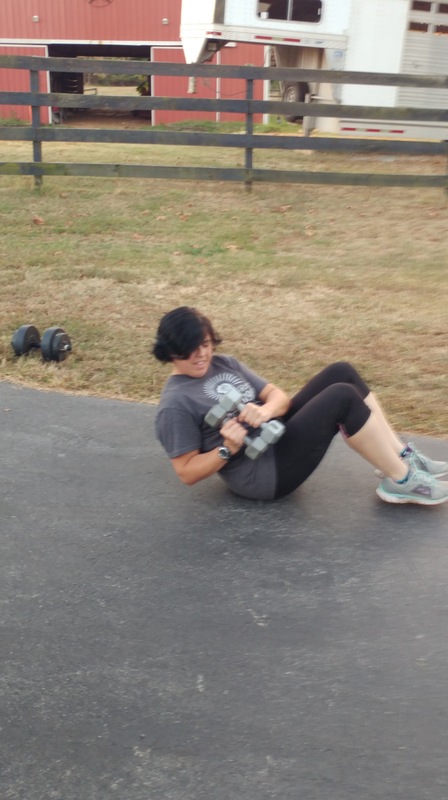 While losing fifty pounds certainly does help to a certain extent, what has helped more than anything is getting stronger, not just in my core but all over. When you feel strong, you feel in control of not only your horse, but yourself as well and that builds confidence. I had mentioned in one of my earlier posts that I didn’t spend hours at the gym. I have an extremely busy life between working two jobs, running a horse farm, writing books & marketing them, and writing blogs. I don’t have the time to spend an hour every day at the gym.I lift weights and only do a total of 4-5 exercises per workout. 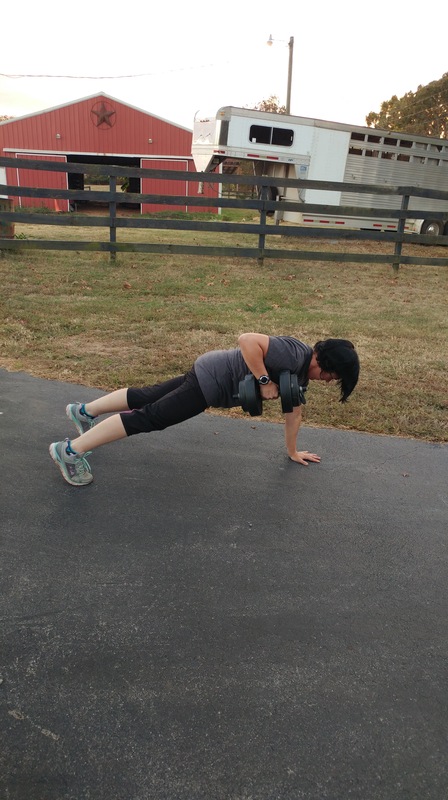 It only takes around 20-30 minutes at most to complete the exercises that I do. That’s realistic and achievable for someone that’s busy. There are three exercises in particular that have helped me the most in becoming a better rider. I like these exercises because not only do you work multiple muscle groups, you also get a cardio workout as well. The first is a walking lunge with a forward arm raise. Here I’m using 10 pound weights. This is a great exercise for riding because not only does it work your legs, but it also requires balance to execute the position, and it works your entire core to lift the weights. The next exercise is a plank position with a pull up. Here I’m using a 20 pound weight. Let me say when I first started all this, it was all I could do to pull up a 10 pound weight! I’ve seen the most improvement in this exercise. It’s also an exercise that requires balance and complete core interaction while working your arms. The next two exercise is a crunch with weights. I use ten pound weights. There’s two variations that I do. One is a regular crunch with the weights just above my head. The other is a crunch into a sit up where I lift the weights up above my head. Both of these exercises simultaneously work your core while you’re working your arms. Because you’re using your core to lift the weights, it’s almost like weight lifting for your core! 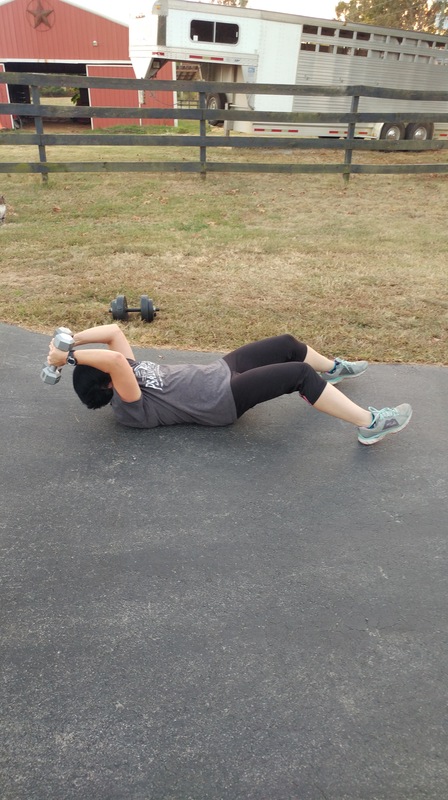 The last exercise is a twist in sit up position with weights. Here I’m using 10 pound weights. This is another great exercise that works your core. If you keep your feet just a couple of inches off the floor while you’re doing the exercise, you’ll also work on balance at the same time. In addition to these, I also do the usual weight lifting exercises such as over head press, bench press, bent over row, and squats. There’s numerous articles on the multiple health benefits of lifting weights besides just building muscle. Weight lifting helps with bone density, and it helps release growth hormones. Look at the bodybuilding grandmother Ernestine Shepherd and you’ll see that’s true! 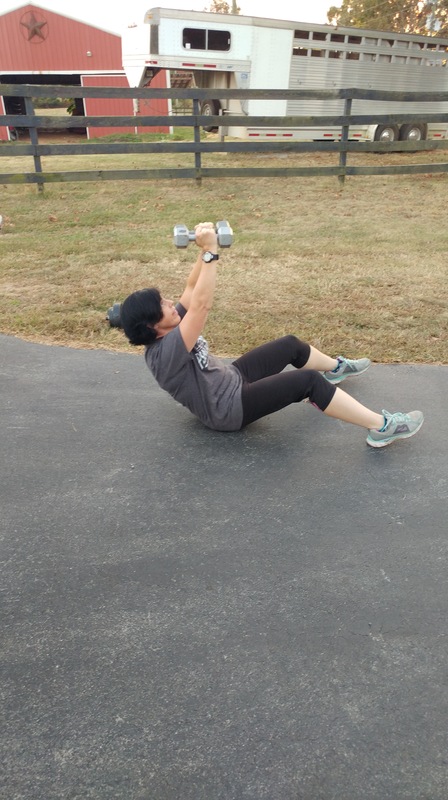 She’s an 80-something grandma that can do more push ups than most twenty year olds and she didn’t start weights until she was in her fifties! Do you struggle with confidence in your riding? What is it that keeps you from feeling confident in the saddle? 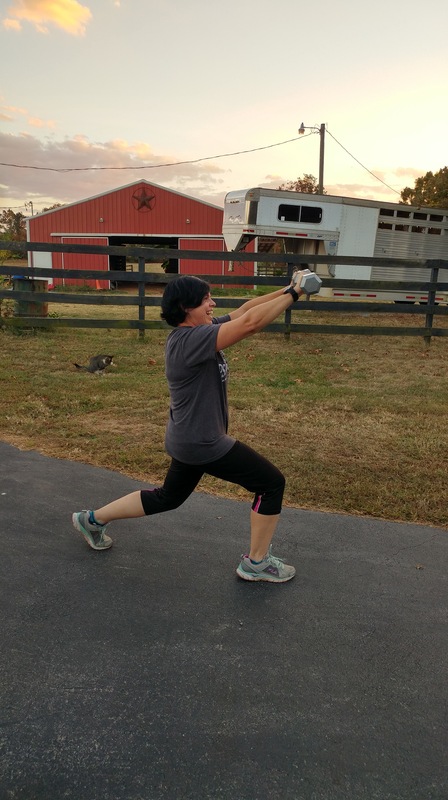 This entry was tagged confidence, core, exercise, fitness, health, horses, plus size, riding, strength, strength training, weight lifting, weights. Bookmark the permalink.